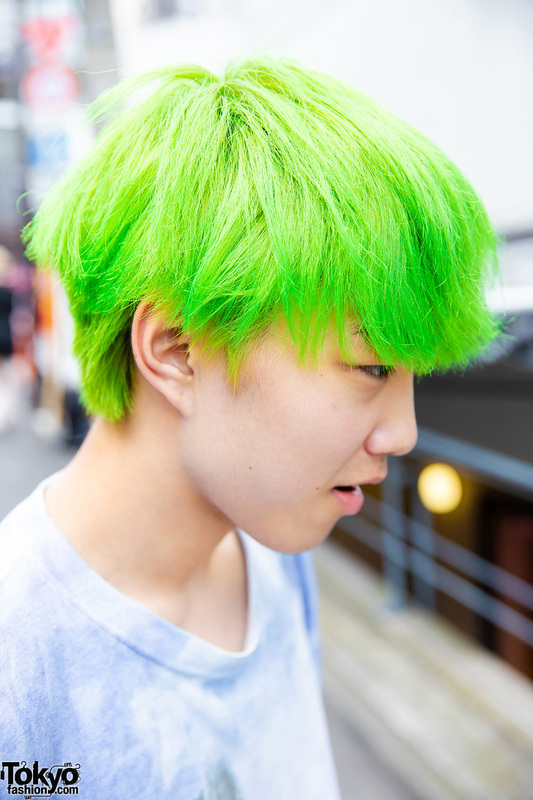 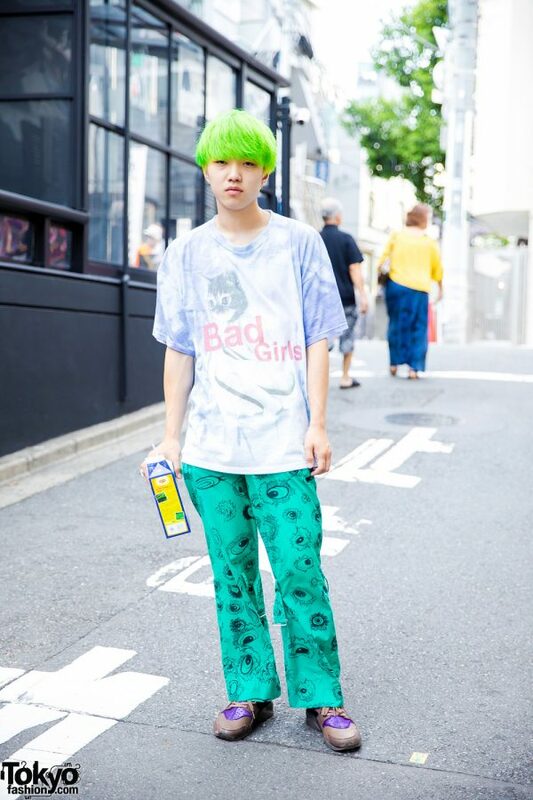 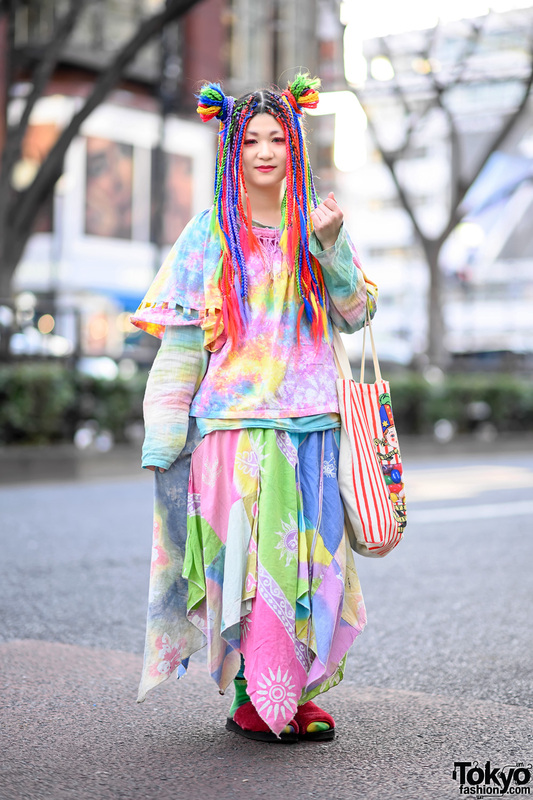 It was difficult to miss Kiku, whose bright green hair and striking casual outfit made him stand out in Harajuku. 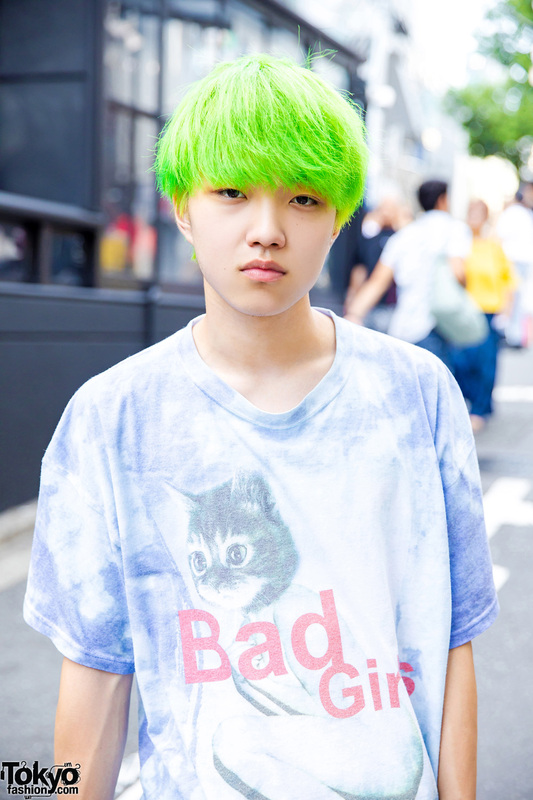 The 16-year-old student wore a Kinji T-shirt with a cat graphic print and the words “Bad Girls” in faded red lettering. 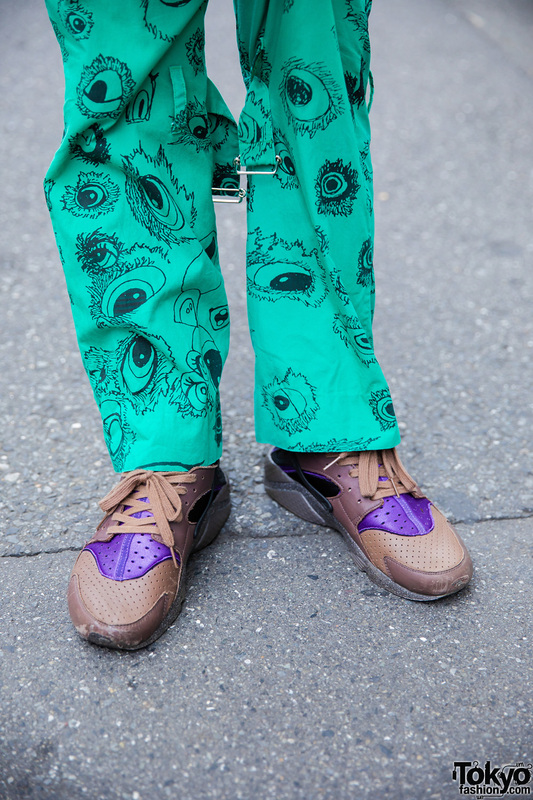 Kiku also wore eye-catching green printed pants from Hiro and Nike brown sneakers with contrasting purple perforated panels. 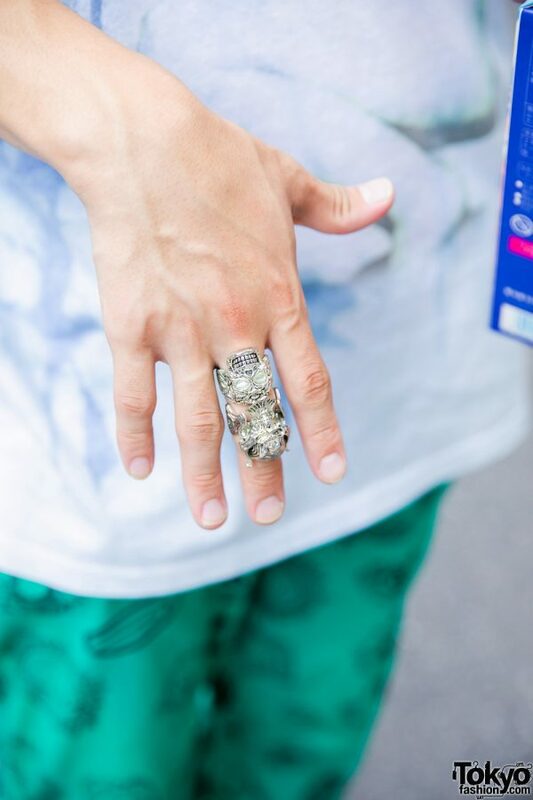 He finished off his look with two silver chunky rings stacked together on one finger. 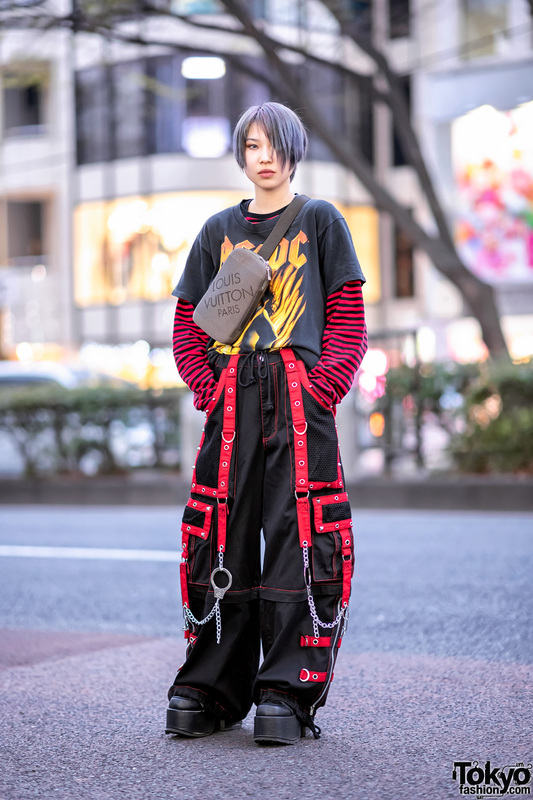 Kiku’s favorite fashion label is Balmung, and he posts social media updates on Instagram.